Should You be Buying or Leasing Office Space? We read an article recently on whether to buy or lease office space. 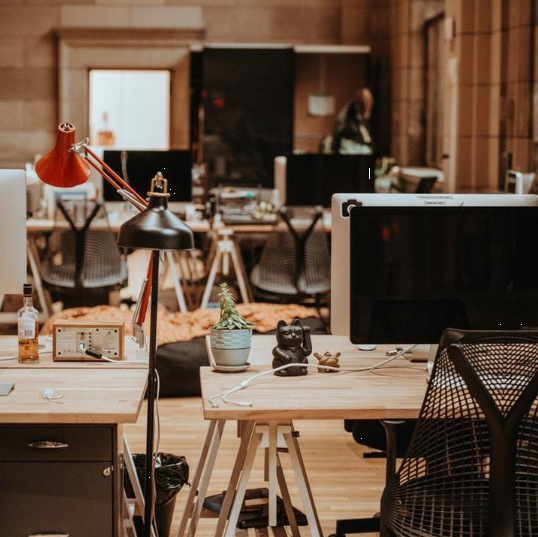 This brought us back to one of our previous blogs, “Is it Better to Buy or Lease Commercial Real Estate?” This new article, from BisNow, highlights the factors and considerations a person should make before deciding whether leasing office space or buying office space for their company is the better option. “Clients ask me this question quite a bit. The answer depends on many factors and it is different for each client depending upon the current market parameters and their unique circumstances. If you want to learn more about your specific situation and whether you should be leasing or buying a space, contact David Massie at DJM Commercial at 805-217-0791 or david@djmcre.com – we can help! For more details from BisNow, read the full article here. 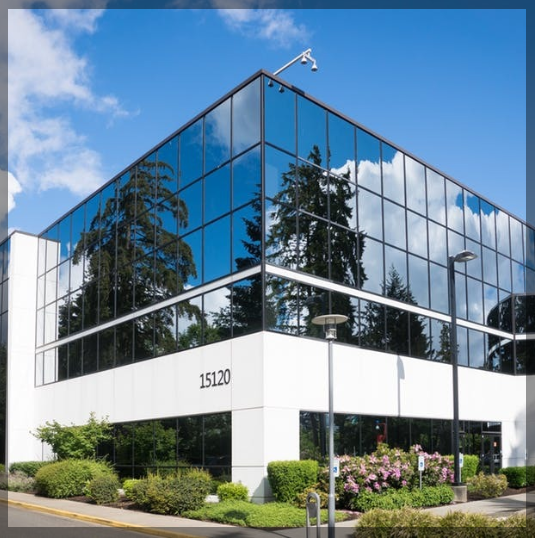 We recently read an article in Connect Commercial Real Estate highlighting how national office vacancy continues to climb. Rent growth, on the other hand, has headed into an incline in the last two quarters. This means that there is potential for tenants to lease office space for less than before. This article is a great example of how a landlord rents are falling. If you want to learn how to lease space for less as a tenant, contact David Massie at DJM Commercial at 805-217-0791 or david@djmcre.com – we can help! For more details, read the full article here. 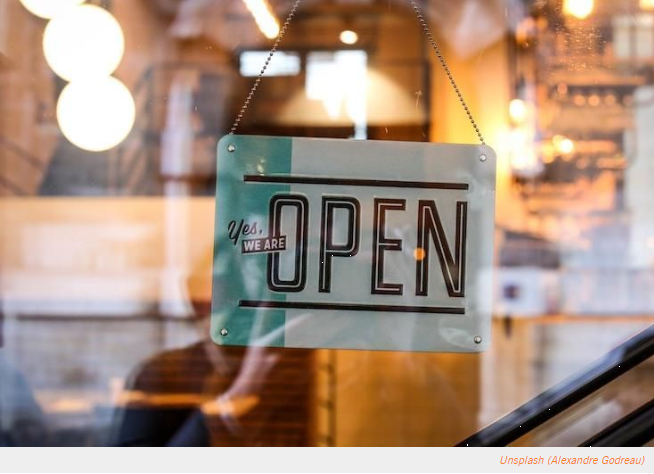 We recently read an article in Bis Now highlighting how small retailers are finding their opening while old giants shrink. The general premise is that retail landlords are willing, more and more, to take on smaller retailers by dividing up their spaces and leasing them out where they can instead of holding off for the big fish that probably isn’t coming. This article is a great example of how a retail tenant can save on rent right now. Even better news? We can help. Contact David Massie at 805-217-0791 or david@djmcre.com if you are a retail tenant and you want to find a great deal on a retail space like mentioned in the article. For more details, read the full article here. We have a fantastic property for lease currently. 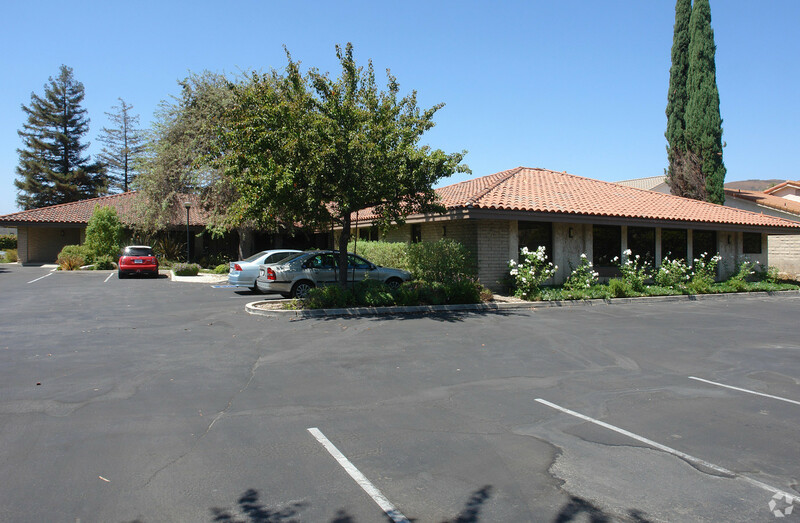 This existing dental office is in a prime Westlake Village location and the price was just reduced from $1.95/SF/month to $1.50/SF/month. This space is not limited to dental office use though. The office can be used for dental, medical or even office uses. This amazing location has the best of both worlds. It sits appealingly at end of a quiet cul de sac while also being walking distance to retail, the post office and many other amenities nearby. There are several opportunities with this location as the landlord will allow new prospective tenants to sublease all or part of the space. The landlord is also giving the option to have the lease assigned or do a direct lease, your choice. This really is the perfect opportunity to dive in on a prime Westlake Village location with a sublease or a direct lease with low rent for dental, medical or office space. Interested in learning more? Full property details can be found by clicking here. 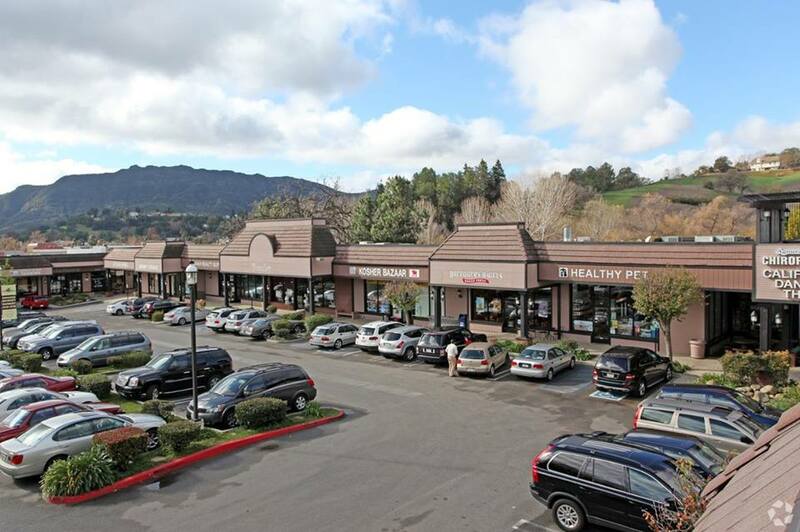 Agoura Hills City Mall Retail Spaces for Lease! If you have a retail business, including a restaurant, and would like to join existing successful tenants with a great location, this is a great opportunity for you! The Agoura Hills City Mall currently has openings for new retail spaces. Most recently, there is new restaurant space available at what is now a current Pizza Hut and a new location for a smoothie / yogurt / coffee or dessert location available! 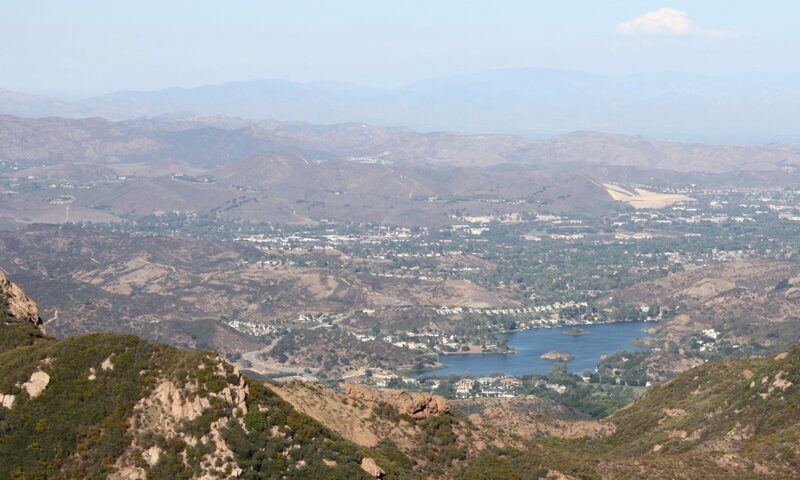 A few of the already established and thriving businesses in this shopping center include: Agoura’s Famous Deli, Vincitori, Sushi Wasabi, Maral Cuisine, Citibank, Kanan Pharmacy, California Dance Theatre, I Love Kickboxing, Journey Martial Arts, Agoura Mexican Café and more! The landlord has agreed to give a reasonable amount of time for you to construct your retail space, without having to pay rent! This location comes with a new common area, improvements and renovations. Some of the spaces have outdoor patios. The space is great, but the location is truly what can’t be beat. The Agoura Hills City Mall is adjacent to two major retail centers anchored by large grocery and drug stores. The location also includes great signage that is visible from Kanan Road. 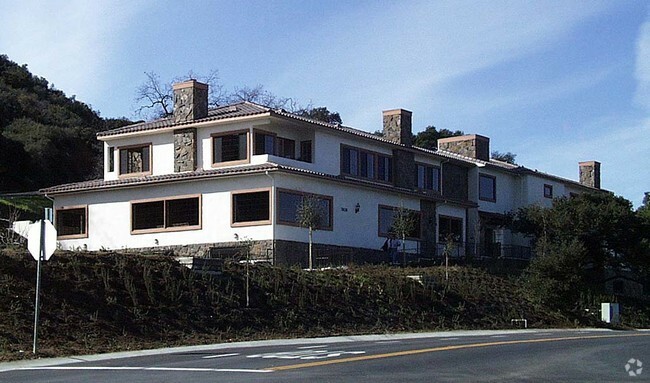 It’s located on Kanan Road near Thousand Oaks Boulevard. This is a main and busy intersection that’s less than one mile north of the Ventura Freeway (101) on Kanan Road for easy access! For those that don’t know, Kanan Road is the main road in Agoura Hills linking to the Ventura (101) Freeway. 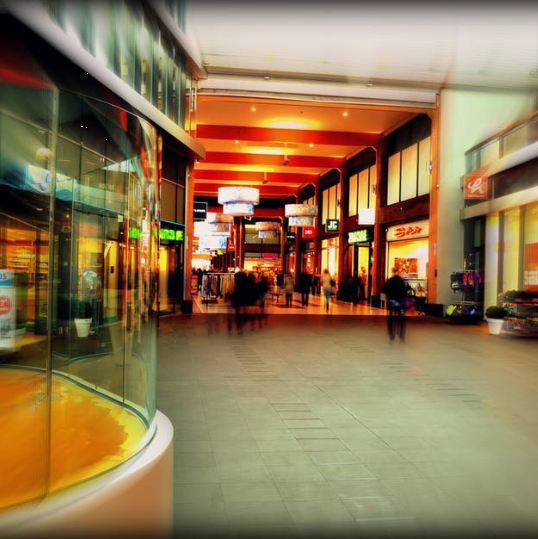 The shopping mall is centered in an area with great demographics; there are over 100,000 people in a 5 mile radius. Click here for more property listing details and additional photos. 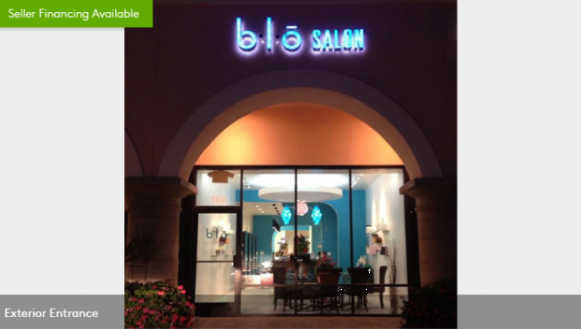 The full service hair salon BLO is for sale in Newbury Park in a busy retail center. This property has great potential! It’s an upscale hair salon located in a high traffic area that’s right off the 101 freeway. This sale is a turnkey deal that will include established clientele as well as stylists ready to transition right into your new business. This is a great opportunity for buyers. The property is 900 sf and has a private office that can be used as additional storage. The salon includes a retail display, a camera system throughout the premises for security, lots of free parking and more. This space is conveniently located in a newly renovated shopping center with no major competition in the immediate area! This is a truly great buying opportunity in Newbury Park. Click here for more details on the property! David Massie of DJM Commercial Real Estate has an exclusive unlisted off market income property for sale in Conejo Valley in Rock River Plaza that is an amazing opportunity. The address is: 28118 Agoura Road, Agoura Hills, CA 91301. The current owners are asking for about a 5% cap, which is about $5 million, but they are also open to reasonable offers. This is an incredible opportunity to move quickly on as it’s currently unlisted and off-market for the time being! If you have someone interested in buying this off market listing, or if you have any additional questions, please contact David Massie at david@djmcre.com or call him at 805-217-0791. 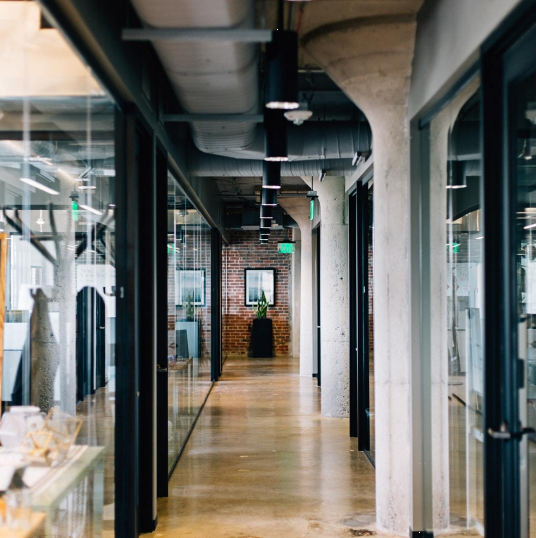 Whether you have an office, retail or industrial commercial lease, there is really only one good way to negotiate your lease renewal: Hire a good commercial real estate broker. If you don’t hire one and try and negotiate the renewal on your own, then you will be sorry as you will most likely miss out on your best deal. One of the main reasons commercial tenants don’t hire a commercial broker to renew their lease is because the tenant thinks they will have to pay the broker directly. Although this might happen, I normally am able to get the landlord to pay me a commission for representing the tenant at renewal time. Why would a landlord pay me a commission when they have the tenant already leasing space at their project? Because I can find this tenant another location elsewhere. And the landlord also wants to entice me to bring them more deals to their project in the future. What if the landlord won’t pay me, your broker, a renewal commission and the tenant doesn’t want to move to another project? Then I usually enter into a flat fee agreement with the tenant I represent. But my very reasonable fee pays for itself many times over. This is because I am able to negotiate things on behalf of my client that my client could not negotiate on his own. Landlords don’t give you, as the tenant, a credit for not using a broker and it is simply the wrong choice not to use one. There is more to a successful lease renewal negotiation than just negotiating some of the numbers like rent. The lease itself is complicated and you need to understand what you are agreeing to and how each of the clauses in the lease might adversely affect you in the future. This is especially true in terms of hidden costs you aren’t aware of. So, having your broker review the lease and negotiate the clauses that are unfair or costly is huge reason not to do it yourself. Think about it. You, Mr. Tenant, don’t know the commercial real estate market like your landlord does. So why, Mr. Tenant, do you think you will do your best if you negotiate against your landlord? You won’t until you hire the right broker. It’s always worth a try to hire a broker to see if the broker can do better than you can and better yet to see if the landlord will pay your broker so you don’t have to. Stop leaving money on the table and hire me now for your renewal or new commercial lease negotiation. I have negotiated over 1,000 leases successfully. Is It Better to Buy or Lease Commercial Real Estate? Clients ask me this question quite a bit. The answer depends on many factors and it is different for each client depending upon the current market parameters and their unique circumstances. Right now, the California commercial real estate market for retail, office and industrial properties for sale and for lease in which I specialize in is pretty hot and has been for many years. Prices for both sales and leasing have exceeded all-time highs historically in most California cities especially in Southern California where most of my transactions take place. So, when prices are high it means that it’s not a good time to buy or lease, right? Not necessarily. And what if you have a business and have to do one or the other, which one do you choose? I define businesses that can occupy at least 51% of a building as “owner/users”. Many times owner/users can pay more for a building because they can get a better loan than investors buying properties not occupying at least 51% of the building. They also usually get better tax treatment when owning rather than leasing. Owner/users have been buying quite a bit in the last couple of years. They are buying even though prices are high, because of low interest rates and preferential tax treatment. The draw for these types of buyers is that it is better compared to leasing and, many times, that proves to be the case. If they don’t occupy the entire building, but at least 51%, then they can lease out the rest of it which can also add to the positive bottom line. Whether you are an owner/user, or a business that can’t qualify as an owner/user, you have to compare the costs of leasing versus buying. You have to take into consideration not only the loan and down payment costs, but also the tax implications. This is where your unique circumstances come into play. Here are some common reasons why you shouldn’t or can’t buy. In these situations, leasing is better: If you don’t have enough money for a down payment, if you can’t qualify for a loan, if you might significantly expand or contract your space in the future, if you don’t have money for building improvements that landlords take care of if leasing instead, and many more reasons. There are many factors that go into figuring out if it’s better to buy or lease. Every situation doesn’t come out with the same answer. A good broker can advise you and help you to figure out the right answer for you. More on how to find a good deal on a property to buy in any market. Who Pays Your Commercial Real Estate Broker and How Much? Although the answer might seem obvious to some, this question is asked of me quite a bit in my role as a commercial real estate broker in California. Generally in California for retail, office and industrial properties (and I am going to focus only on these since these are the ones I specialize in), the landlord or seller of a commercial property pays your broker a commission for your broker bringing you to the property. Many people believe that commissions are negotiable. This is true to some extent in theory and legally. 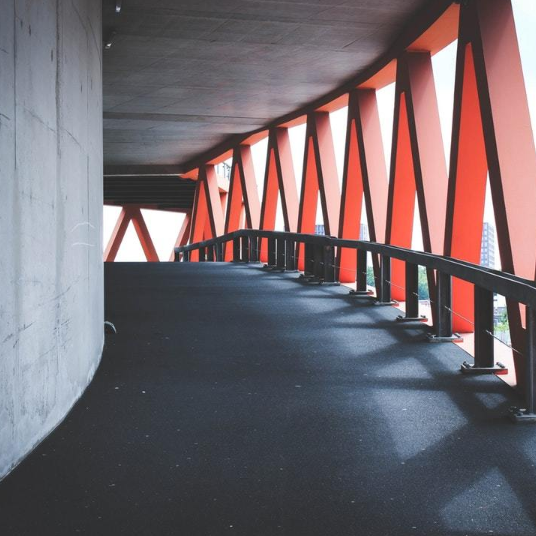 In reality, about 99% of the time there is a market standard commission in the commercial real estate industry for a particular type of commercial property lease or sale that everyone agrees to. The total commission usually paid by a landlord or seller is 5-6% of the total rent over the lease term or the sale price. This commission amount can vary. This is especially true for more expensive properties for sale in excess of 10 million dollars. In those cases, the commission total is usually less and can instead be a set fee of say $200,000 as an example. The landlord/selling broker enters into a contract with the landlord/seller for the entire commission, but then has to split that in some fashion with a tenant/buyer broker unless the landlord/seller broker also represents the buyer. (This latter scenario is called a dual representation and something I strongly recommend against ever doing as a tenant/buyer for many good reasons; more here on this subject. In Southern California, the splits vary between the two brokers depending upon whether the deal was retail, office, industrial or other type of property. Let’s assume a 6% leasing and sales commission for our examples that follow. Retail and industrial deals usually split the leasing/sales commission evenly (3% to each broker). Office deals usually pay 4% to the tenant’s leasing broker with the remaining 2% going to the landlord’s broker. But, for sales, the commission is split evenly. Therefore, in this example, it would be 3% to each broker. Note that industrial deals for leasing and sales tend to be at total of 5% and not 6%, but office and retail are usually 6%. So, if you are a tenant or buyer, you can see that hiring your own broker to represent you doesn’t cost you anything. It also doesn’t make your deal more expensive, because the landlord/seller is already paying one commission and requiring his broker to split that fee with another broker as necessary. Bottom line: It’s a no brainer to always have your own broker representing you when leasing or buying. It doesn’t cost you anything. Having your own broker should save you time, money and headaches. You do have to choose your broker wisely to get the most of them (more here on how to find a good broker). If you want to learn more about leasing, buying and/or selling any and all types of commercial spaces or if you have questions about any subject related to commercial real estate, please contact David Massie of DJM Commercial Real Estate at david@djmcre.com or 805-217-0791.